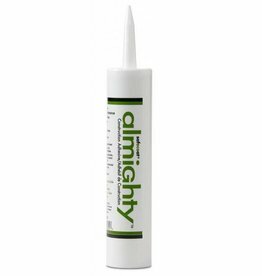 This unique sealer is designed to prevent the outgassing of harmful chemicals used in carpet backing. These chemicals include such known carcinogens as formaldehyde, toluene, benzene, xylene and styrene. It effectively blocks outgassing for up to five cleanings or one year. 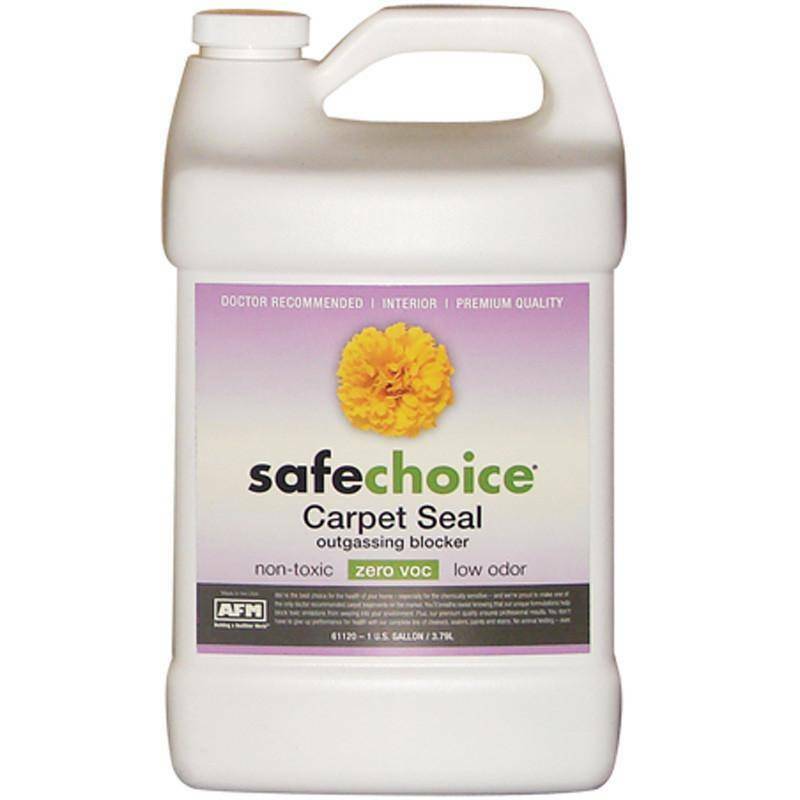 Use in conjunction with SafeChoice® Carpet Shampoo and SafeChoice®Carpet Lock Out to clean out and seal in the harmful chemicals found in a typical carpet. Not recommended for wool. 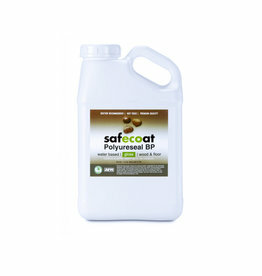 USE ON: All synthetic carpets and rugs. Not recommend for wool. 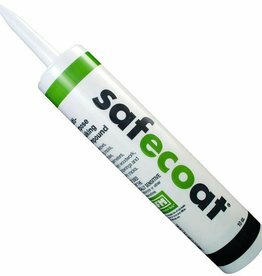 LIMITATIONS: Safecoat sealers are made without formaldehyde preservatives. Do not contaminate. Store in airtight containers. Do not use when indoor temperature is below 55 degrees F. Do not freeze. 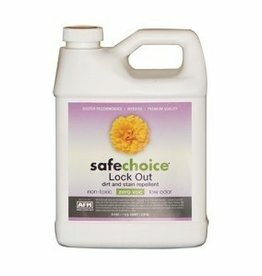 Thick application, high humidity or conditions other than normal will cause SafeChoice to dry and cure more slowly. APPLICATION: Carpet should be vacuumed and cleaned prior to application of Carpet Seal. 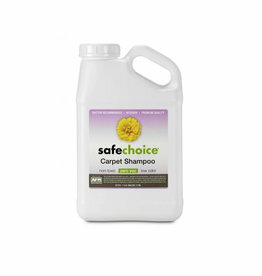 Use not toxic, odorless SafeChoice Carpet Shampoo. Follow usage guidelines for use. 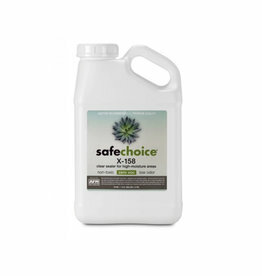 Immediately after shampooing apply SafeChoice Carpet Seal liberally but evenly (while carpet is still damp) using a handheld pump sprayer (similar to a garden-type sprayer). Do not oversaturate. 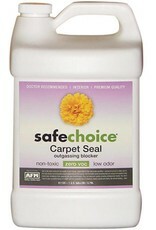 SafeChoice Carpet Seal cannot be used on a dry carpet. Work SafeChoice Carpet Seal into the fibers with a rotary brush, polishing machine or clean garage broom, just enough to assure complete and uniform contact. UPON COMPLETION, CLOTH DRY FIBER TOPS TO PREVENT FORMATION OF WHITE FILM AS PRODUCT DRIES. Even coverage and wiping surface is essential. 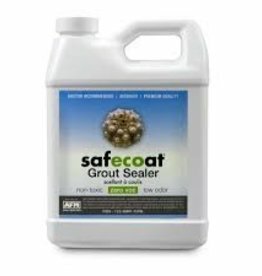 When SafeChoice Carpet Seal is to be applied to a carpet not just immediately cleaned, prior to application be sure to dampen carpet with clear water using a hand-held pump sprayer. The drying and curing process may be accelerated by using conventional heating methods. Do not permit traffic on the carpet until dry to touch. Periodic carpet shampooing may be performed as required. 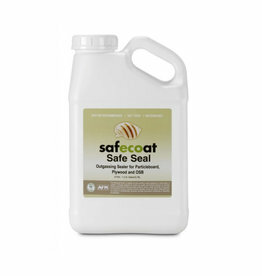 After four or five cleanings or one year, re-application of SafeChoice Carpet Seal may be necessary to ensure outgassing containment. 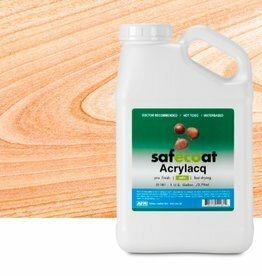 NOTE: Before using SafeChoice Carpet Guard the first time, test in small inconspicuous areas to confirm compatibility and color fastness.